Science: We watched an introductory video on ecology from Khan Academy and they wrote down the definition of the word. Math: They practiced counting money on ABC Ya, Blue practiced measurements and estimation on worksheets, he did the first two lessons in fractions on Khan Academy. Fact Fluency: Timed tests, Red did practice subtraction worksheets. Reading: Red alternated between “If Wishes Were Horses” and “Runt“. Blue completed his “Magic Tree House” book. Writing: Note taking (see history), they wrote a few short sentences each on what kind of animal they would be if they could choose. Art: They watched how to draw videos for each of their animal choices. Red used Art for Kids Hub and Blue used How 2 Draw Animals. We also played Pictionary together. Vocabulary: Blue took a new placement test on Moby Max and completed the first lesson. He said he enjoyed it and learned new words. Yay! Geography: They drew South America (where Alexander Van Humboldt explored) and filled in the states and capitols. Red needed extra help with the precision and it took them both some time, but they had fun. Programming: They both started at square one on Khan Academy. They love it so far. It’s something I need to make an effort to keep in our loop. So valuable and fun! They’ve even been helping each other learn it. Cursive: I’ve started them both at the beginning. It’s been over a year since Blue has practiced (he learned cursive in Kindergarten, and Raspberry Bug is still learning the basics anyway). I gave them two letters to practice and build upon in words. Exercise: I took Red for a walk (more on our adventures below). It will be Blue’s turn for special time with mom next week. They both had some time at the park. History: We finished reading about Alexander Van Humboldt (in Brave Companions) last week so this week we watched a biography video on him while they practiced taking notes for the first time. We picked flowers and found special rocks at Shellcrete park. I think my lens was dirty, but if you look close you can see a mama deer and two babies. Heading out the door (yes, she dresses herself). The trees are low hanging and beautiful. Makes for amazing photography! I took their Pokemon card tins and made stencils to fit the size. This way, they can make their own Pokemon cards to match or they can create some using their imaginations. This activity was made to fit into their art supplies so they can enjoy them whenever they like (I don’t have to tell them their practicing copy work, handwriting, art, math, etc. etc.’ that will be my little secret.). We played Pictionary. Even mom got to enjoy that. I went on a walk with Red. We picked wild flowers, found some crystallized rocks, and even saw some deer. So fun! I put all of his “school items” in an accessible basket. It helped him a lot knowing he could grab something from his basket instead of bugging brother and sister. linky toys helped him to improve his fine motor skills. He hasn’t figured out how to put them back together yet, but can certainly take them apart. We went over some animal sounds while he worked on his animal peg puzzle. It’s so cute. He knows what a cow, horse, sheep, dog, cat, and monkey all say. He’s actually turning the pieces of his puzzle now to try to fit them in. His patience is still low with it, but he’s using hand-eye coordination much better. He used clothes pins on his surf boards. the boards are pretty thick so he found a hack of just turning them backward to use the wide side. HAHA. No fine motor skills needed here. I think I’ll use a lid next time. We did more work on vacuuming. Blueberry Ball does very well on his own now and Raspberry Bug only needs a couple of pointers here and there. They’ve gone from not wanting to touch the thing to that being their first choice (above the broom). They helped fold the towels and rags. Red still needs a lot of work in this area. But she practices with a cheerful heart. I want to focus on our writing skills a little heavier. We took notes on Humboldt this week. We may take a few more, but I want them to start a research paper before we move on to our next historical figure. If we do some writing after each chapter, their skills should definitely improve by the end of the year. Add some fun math games. Since they will be a bit heavier on the writing side this coming week, I’m going to trade off and do some of our more exciting selections for math. Maybe I’ll look up some ways to utilize their playing cards or board games. I think we will have some new books in by the next log! I want to introduce just a couple new ones at a time for each of them. My goal this year is to avoid the overwhelm for everyone. The books we have coming will supplement (not replace or add to) the existing loose structure we have going. We not trying to rock the boat. Just learn on it. We will probably be taking the very next week off for some family time, but follow along. We will be right back on track very soon. You can check out last week’s lesson here. I’ve decided once a week I will share with you what we are doing in our home school day. It has helped me so much to keep a home school log. 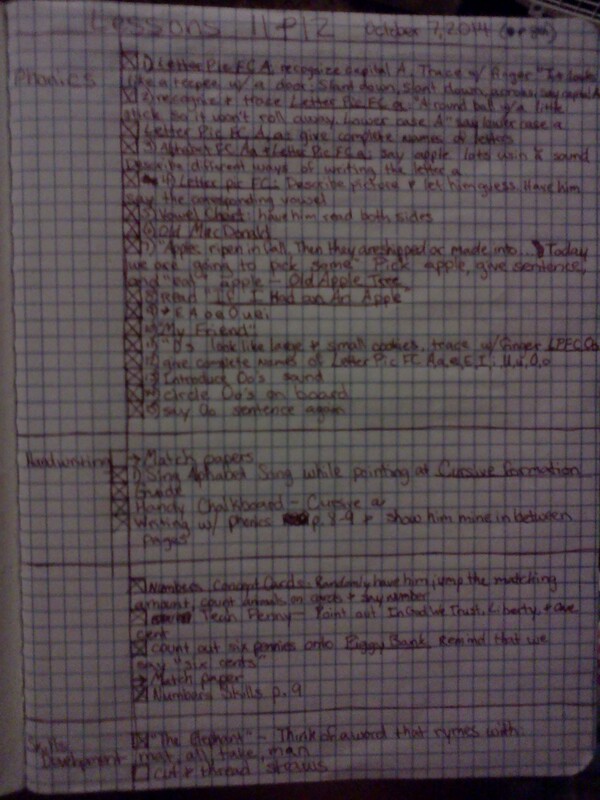 Not just writing down what I plan on doing, but what we actually accomplished. Maybe it will spark some inspiration for another home school parent. FYI: As you can see below, I try to build my lessons as much around the books we read (see Our Morning Basket) as possible. I’m not 100% Charlotte Mason, but I do agree with her view points on living books. What’s in the Morning Basket This Week? Copy work: was pulled from memory verses and from “Zoo Doings“ by Jack Prelutsky. We also took a day to review number formation (if I don’t do this occasionally, they revert to writing their numbers backwards again). Science: We read “The Osborne Book of Scientists: From Archimedes to Einstein” and “Brave Companions”. We also watched nature shows and an episode of Brain Games about magnetism and gravity. Place Value: Raspberry Bug completed two 2-digit subtraction worksheets while Blueberry ball did one on rounding to the nearest place value. Logic and Reasoning: Blue did a worksheet that required him to find the pattern of equations given in each number set. Multiplication: We used a deck of playing cards to reinforce the overall concept of multiplication. Fact Fluency: subtraction and multiplication facts. We did flashcard games and timed tests. They aren’t very quick at the timed tests yet, but they like the challenge of trying to beat their own scores. Blueberry Ball played “Math Man” on ABC Ya to review both subtraction and addition facts. Independent Reading: Raspberry Bug is reading “Runt” and for her personal Bible reading she is in John. Blueberry Ball is reading from “The Magic Tree House” series and for his personal Bible time he has chosen to go through Revelation. Art: They love making detailed drawings of their copy work. We also used watercolor paints on a large thick coloring sheet together while the baby napped. And Raspberry bug made cute little “ice cream cups” with play doh. Blue created his own original Pokemon using colored pencils. Art History/ Appreciation: We looked at some art done by the famous Albrecht Durer while we read some facts about his life’s work. Exercise: We all went to the park. They played ball, tag, and Frisbee with their friends. And Blueberry Ball has been practicing how to do push ups the proper way. History: The current Magic Tree House book is about the Revolutionary War, so I put on some You Tube videos about that. The book about George Washington and the General’s dog was about the same era. We also did the Osborne Scientist book which tells us about different scientists in History. And, in Brave Companions we are learning about scientist and explorer Alexander Van Humboldt. We watched nature shows that highlighted some of the areas he explored. He’s by far the most interested in learning to play the ukulele. He sits by daddy and “practices” every day. Music: Voice lessons and breathing exercises. So far we are only tested a couple five minute practice warm-ups from You Tube. Blue picked up the ukulele twice this week. Music is something I’d love to make a regular habit of, but it just isn’t on our priorities just yet. Red Created a whole bunker complete with armory, built in fully stocked pantry, and wind turbines. Impressive for a six year old! We took our morning basket to the park. It’s always nice to have a change of scenery and sunshine. Raspberry Bug did some Play Doh art. They were both getting into the Lego world this week. They’ve been taking their time and focusing well on more detailed projects. It’s been fun to see their skills rise through play. Books: “Baby Einstein’s First Alphabet“, “My Very First Learn and Know Animal Book” by Brenda Apsley, and “I Love to Learn About Counting” by Nina Filipek. Both the “Learn and Know” set and the “I Love to Learn About” set are perfect for his intentional reading time. They are larger and have bold colors and engaging art. At the same time, they aren’t so busy he doesn’t know what to look at. I like to grab his pointer finger to go over each picture as we cover it in the book. So far, he doesn’t quite sit all the way through, but it is exposure. We also have an assortment of board books that we all love reading to him and they are constantly available for him to play with and “read” on his own. He sorted the colors of Pokemon miniatures with tongs. He isn’t very accurate with it yet, but it gives him exposure and allows me to focus on the older two sometimes. He’s getting good with the tongs, an activity that helps him with his fine motor skills. He has started to really enjoy coloring. He wants his own colored pencils and paper now when brother and sister are doing worksheets. His favorite happen to be the gel pens I use in my planner. What can I say, the boy has good taste. His pencil grasp is wonderful despite the fact that he’s only a year and a half. I’ve made it a point this week to help Baby better understand how to use his eating utensils. He’s just recently gotten to the point of allowing me to help show him. Before he didn’t want me touching his hands too much, but now I can guide him a lot easier. They all three got to help with cracking eggs for breakfast. The older two are quite capable. In fact, they may be doing it by themselves very soon. Mulberry Boy “helped me” stir. I only had to tell him a couple of times that we don’t eat them til they’re cooked. Both the older kids learned how to use the vacuum. It’s been such a sanity saver already! I still have to show them how to be thorough, but that will come with practice. Pick a day I intend to jump right into computer work. A lot of what we didn’t complete was down to the activities they do online. Maybe we can focus more on that every Friday? Have some ready-to-go writing activities. I had quite a few ideas floating in my head for some creative writing assignments. But because it wasn’t ready to grab like the rest of our resources are, it kind of fell through the cracks. Have ready-made cursive practice for them to complete on their own in their notebooks. Again, because I didn’t have it ready, we didn’t make the time for this subject. I tried to link as many resources as I could find. A lot of our books come second hand so, I did what I could. Thanks for stopping by! I plan on doing one of these each weekend so keep your eyes opened for more. Let me know what you think in the comments below. What is the Morning Basket? I thought I’d explain what I mean when I reference “morning basket”. Morning routines look different to every family. In our home we are currently trying to find our new rhythm so I’ve chosen a relatively easy approach. Making the Morning Basket part of our daily routine has been such a stress reliever for me! The idea is to have a basket of living books that we have set aside specifically for our morning read aloud time. I read a short segment of each book each day. They are allowed to stop at any point to discuss what we are reading. And I occasionally will stop and ask them a question or point something out. Sometimes, I will have them dictate what they heard. That has been a wonderful trick to ensure they are actually paying attention. It also builds pre-writing and public speaking skills. We use our Morning Basket to Spark Interest and to Cover Ground. I’ve been surprised (by keeping our log of achievements) at how many different subjects we cover by simply reading together as a group. It eases my mind to know that because we are reading, a lot of our extra subjects are at least getting touched on. My nine year old has been eating up the morning basket lately. He gets interested in something covered in one of the books and starts asking questions. This is where I’ve gotten some of our activity ideas from recently. I can rest in shifting our schedule occasionally to learn about something he has a genuine literary interest in. Part of my goal as a parent and as a home school mom is to raise my children to feed their curiosities about the world around them in healthy ways. Exposing them to timeless classic literature is a wonderful way to spark an interest. Whenever possible, I try to keep real books around for the morning basket. It seems to hold their attention more. But I have been known to add a couple here and there from free sources online. I’m SO thankful that we are docked at a marina that has it’s own used book drop off! We’ve come across some real gems. “On a Dime” right? What is in Our Morning Basket? We finish one book completely before starting another. This keeps the list short and manageable. It also allows us more time for each subject. I also purposely choose books that are above the level they would normally be reading independently. That’s why we read together. We will add picture books or shorter stories occasionally that fit what we are studying well, but I want the majority of what is covered in our morning basket to be rich and inspiring high-level content. This is not just to distract him while the kids get some work done. This is building his love of reading with each turn of the page. He may not want to sit through a whole book (he often doesn’t), but the offer is always there in this home, and when he does want to read, we are making memories with him that are sweeter than any academic achievements. This plan for a solid morning routine has drastically changed the way we all view reading and “doing school”. It has become something of a fun way to start the day instead of a subject to mark off the list. It also keeps me at peace knowing that the books we are reading are enriching their minds and are cross-curricular. Despite the fact that the rest of the day may not go as planned, I’m still creating in them a lasting foundation for learning and for self-education. Eventually, I’d like to get a solid book bag with all of our morning content in it. That way we can change the scenery with our mood. This would make it much easier to incorporate both realistic art and nature studies. Those are just goals for the future, however. I intend to keep these basics running smoothly for a while before adding more. Keep reading to find out how we incorporate the morning basket into our day. Do you have a home school Morning Basket? Leave a comment below describing your home school morning routine. I love hearing from my readers! Most of us have started school by now. I hope it’s smooth sailing for my readers out there! For our family, we struggle after each break we take to stay on task. It’s especially hard because Blueberry Ball doesn’t like to sit still. He’s the oldest, and as such, he’s required to do a lot more of the work I give him independently. In first grade, he is capable of quite a bit of seat work. Here are some tips and tricks I’ve learned and used along our homeschooling journey to help him stay motivated, engaged, and focused. I’ve tried many different methods of scheduling in the past, but the one thing I’ve always gone back to when ordering our day is that if he does the fun (in his case the easier) subjects first, the rest gets lost in the shuffle. Having him do his English practice first is key for us completing the day’s tasks. You can’t make the hardest items all you do for the beginning of the day either though. He has handwriting/ copy work that corresponds with the week’s language practice and spelling words, but it is just not feasible at all for him to be expected to complete that when he just completed another subject he hates. We do that after he’s completed his math (he LOVES math). Find a system that works for your child, then stick with it. He thrives on structure, so I do try to remain consistent, but I’m not afraid to change things up if they just aren’t working. Of course, I always allow time in the schedule for us to go over things together. New concepts are always taught by me before going to seat work, and I always give him the opportunity to play a game or have fun activities to break up the boredom. I’ve found that one of the most valuable things I’ve purchased by far for our home school walk has been the Abeka K5 charts and games. We pull at least one out each day to help him with flashcard facts and other reviews needed. We also have many versions of Bingo, lapbooks, using toys for counters, and even simple board games and card games. “Sparky The Dog Topper” from Abeka was also a great tool for both my children. You could use any fun animal on the end of a pencil, ruler, or chopstick to help their eyes follow along on the page or whiteboard as you teach new concepts or as they complete a reading assignment. Another trick for engagement would be to simply ask him questions and make conversation starters. It may be an obvious one for a lot of home school parents out there (after all, why home school if you can’t have fun), but it’s a “task” that I can all too easily overlook when I focus too much on the weekly/ monthly goals. I feel like this one should have been a no-brainer for me, but this was actually my husband’s recent suggestion. Between each subject/ assignment I’ve started giving him a small break. 5-15 minutes is all it takes. It encourages him with a sort of reward and it keeps his mind fresh with each new topic. Again, this one may be obvious, but it turned out to be a total game-changer for us. Give Me Some More Ideas! I am quite honestly looking constantly for new ideas to keep my children engaged, encouraged, excited, and focused. What has worked in your classroom? I read every comment and would love to hear from you below. There are a number of ways you can go about combining two lessons into one. I’ll show you how we do it for our A Beka home school plans, and you can feel free to adapt it to suit your child, your curricula, and your individual needs. First, you need to be honest with yourself as parent and teacher. Can your child keep up with the pace or will you be burning him out? Is there a need academically or socially to keep up with the lessons the way they are written on the calendar? Or does he simply need more to occupy his time or more of a challenge? Consider these things carefully before adding anything more to his workload. I start with the A Beka Teacher Plan book. If you didn’t order this book, or if you are using a different curriculum, you could substitute with graph paper or simply make a list in a notebook. I do, however, love the way that this book is organized. I don’t use it for it’s intended purpose. When you combine lessons using this book, you tend to run out of room. 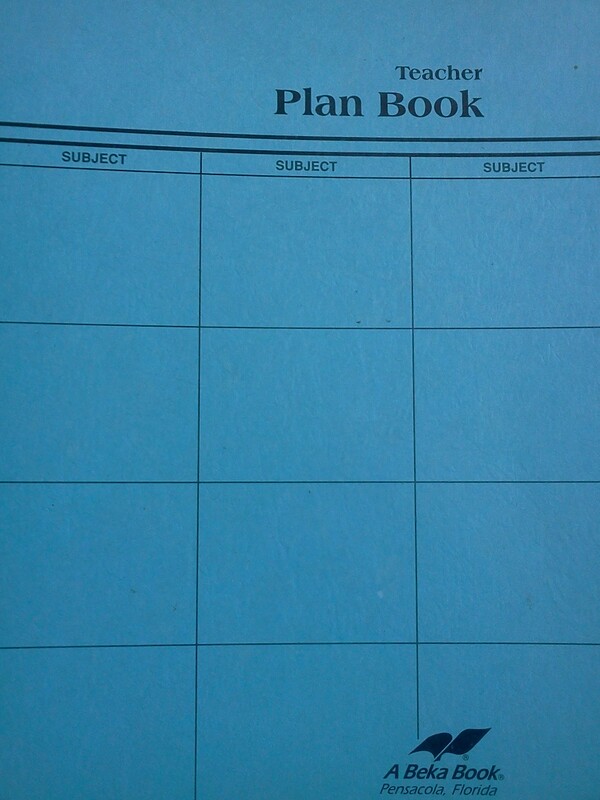 I use it to organize a list of things that I will need for the upcoming lesson. 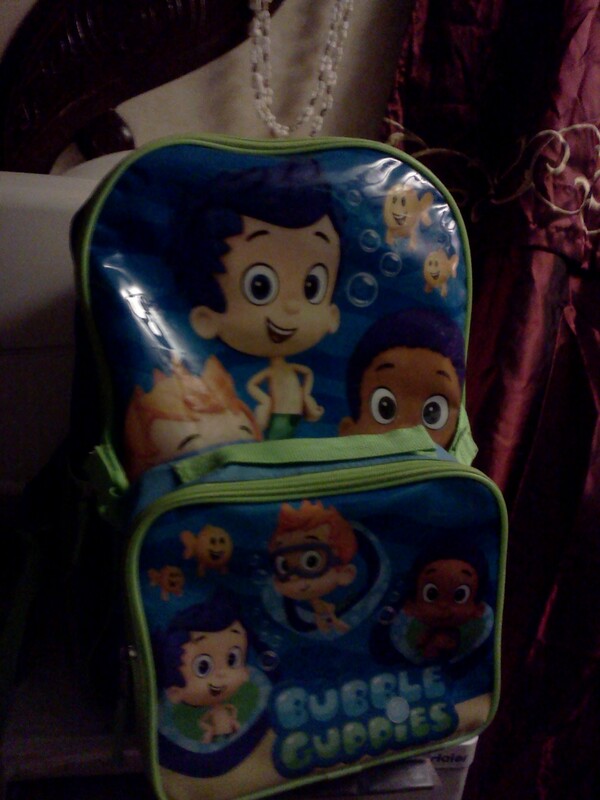 This way, I can grab it all at the same time and place it in his backpack for the next morning. I can’t be searching around our tight home school space for every little flashcard or game as I need it. 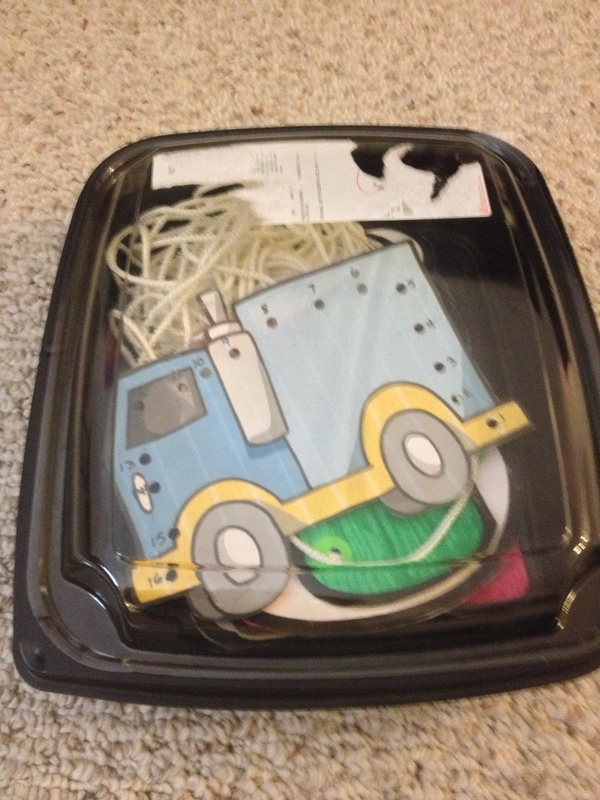 The backpack helps us both stay organized and focused on the tasks at hand. 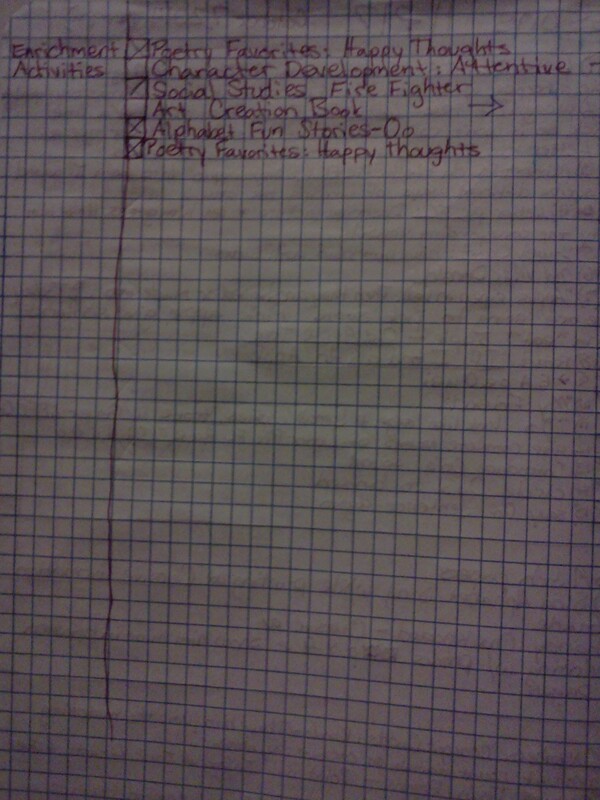 Next, I take my graph paper (I like the composition notebooks best) and I write down my “To Do List”. You could do all of this on the computer, however, I personally find it easier to keep in mind during the day’s lesson if I have physically written it down before hand. To each his own. I Arrange it by subjects in the same ordering that one lesson would be in. For instance, I will write down everything in two phonics lessons into one category, then continue on to phonics review, then numbers, etc. This keeps me from having to go back and forth in the teacher’s manual from one lesson to the other. Rather, I have all of the same information written down in the format of one fluent lesson. Keep your child’s personal needs in mind as you go through the planning process. It may not be necessary to repeat two of the same activities in one day as written in the manual for two separate lessons, or you may choose to add some extra repetition in one area or another to ensure he is keeping up with the pace. For instance, my son is a whiz in the “Numbers” subject and doesn’t need to be drilled so much in number recognition or basic counting. We usually go through this subject rather quickly, more in the form of review. However, When it comes to “Letters And Sounds”, he needs every bit of drilling we can squeeze in. I don’t skimp in this area, as I know how much he needs the practices. If the same activity is used in two different lessons (this is often the case with flashcards, for instance), we simply do it once near the beginning of the phonics block and again near the end. This is, after all, the beauty of home school. You should always tailor and adapt materials to fit your students needs. I have a hole-punch now (silly thing for a home schooling mom not to have), so I can get to work making Blueberry Ball some lacing cards. I love the idea behind these. They are a nice quiet activity, they increase fine motor skills, and pre-sewing skills. One of the many benefits of home schooling is that I have the time and ability to teach life skills along with the academic and Bible. I think it is a great idea to teach both of my children at least the sewing basics. This way, when they are all grown up in there own home, they won’t be wondering what to do with a missing button or a torn hem. I can barely remember practicing the lacing cards that my parents made me. I don’t remember any fun designs I did, or any pictures that were on them, but I can remember sitting proudly beside my mother as she sewed or crocheted. I was so happy I was finally old enough to learn how to sew like Mommy. I hope to create sewing memories as fond as these for Blueberry Ball and Raspberry Bug as well. And at this age, that means lacing cards! I printed the baby Moses lacing card from Danielle’s Place. We already finished our baby Moses Bible study in school this year, but this printable was too cute to resist. Sorry, no photo of this one, but if you click, you won’t regret it! I got this Angry Birds lacing card from Making Learning Fun. I couldn’t get the scaling right on the page, so there was only one full card that printed properly (there are supposed to be two per page). I don’t know if it was the page itself, or a setting I needed to change on my computer, but that was my experience. Letters and numbers. I got these recognition posters from ABC Jesus Loves me: I put start and stop dots on them using office dot stickers and I left the centers alone (rather than cutting them) to make them a little more sturdy. I placed them all in a large container that had room for additions. He likes lacing with the cards and his sister likes to try to guess what the letter is. She isn’t even eighteen months yet, so she is more often then not, incorrect. However, it’s good to give her different variations of letters and numbers from early on. She should see them everywhere, so this is a cool little manipulative for her too. Choose a picture and print it onto a heavy card stock. You can pick from several different sites online or by printing out a family photo, or a favorite picture. Cut it out. if your child is already familiar with lacing, then cut as detailed of shapes as you think he or she is capable of at the present time. 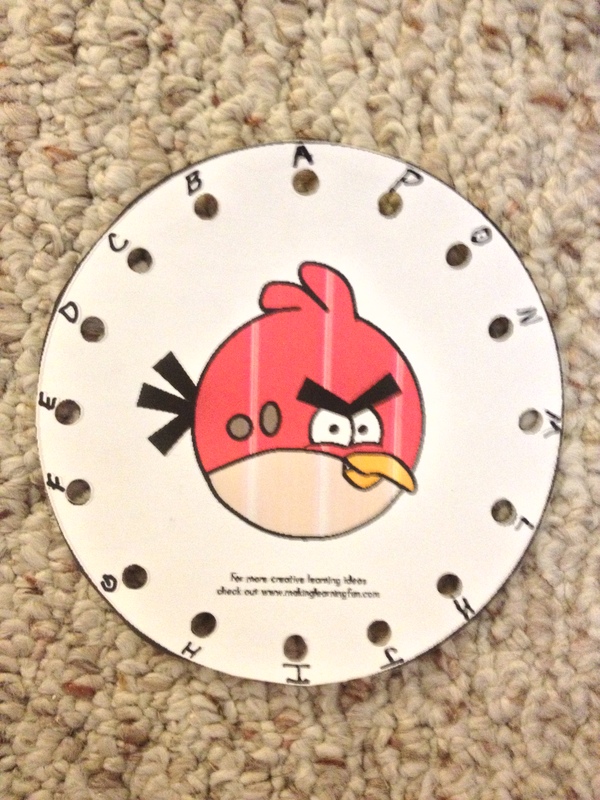 The Angry Birds Lacing Card already had a circle drawn around it. I want to be able to use the letters and numbers one, however, for academic purposes also so I cut around the entire shapes of these. You may have to experiment with a couple of different difficulties before finding what works best for your little one. If your child is older or more responsible with paper items already, you may be able to skip to step four. If you worry about your child ripping or bending the card stock, or if you simply want them to last a long time, then glue it to the inside of a cereal box and cut along the shape again. That’s what my parents did and the cards lasted for years in our toy box! And, it has even endured my toddler’s play. Add numbers or letters to the holes. 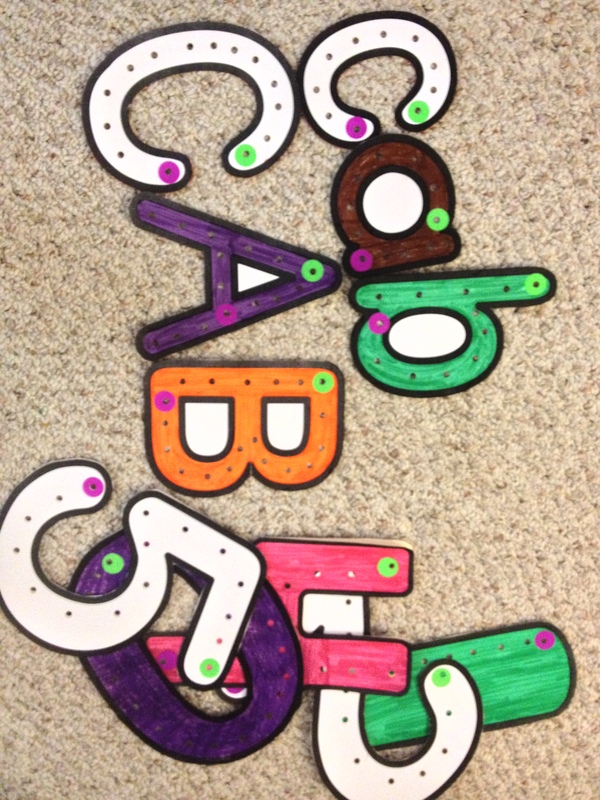 This will help with sequencing in sewing, and in the alphabet or number line. It also helps preschoolers with counting and/or recognition. Now you’re ready to punch your holes. Some printouts already have marks on them for the placement of your holes, otherwise you can easily eyeball your choice hole spacings. Add a shoelace or a piece of thicker string with a piece of tape. You could also use plastic yarn needles and some yarn. For true beginners or younger children who have trouble grasping, you can also use a chenille stick. Of course, you could always use a laminator and punch your holes in that, but we were talking ‘On a Dime’ here right? Also, I really like the look and feel of these, and they seem to last just as long (or long enough) when adding a sturdy backing.